Magnesium Chloride and MSM are purported to have antibacterial properties, as are Tea Tree and Citrus Essential oils. 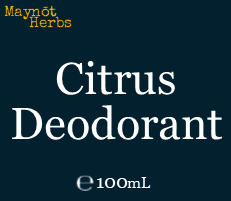 We have included all of these ingredients in a zesty, tangy citrus deodorant. 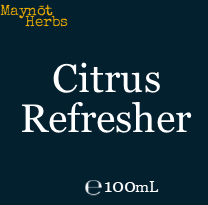 Ingredients: Water, Magnesium Chloride, M.S.M., EO Solubiliser (Almond & Coconut derived), Bitter Orange EO, Rosalina EO, Bergamot EO, Sweet Orange EO, Fragonia EO, Lemon EO. EO=Essential Oil.